What does the Additional Services Combo include? The Additional Services Combo is a pack of 3 selective services offered by Cordlife to assure our Clients of the excellence of our offerings right from Day One. 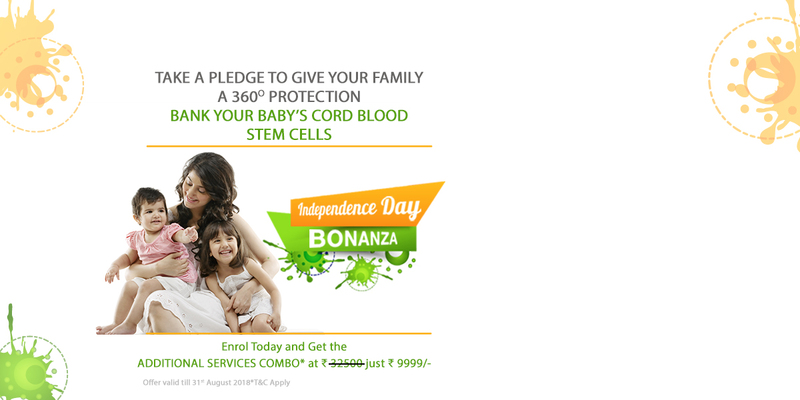 As a Parent, you would want the best quality of stem cells to be stored. But it is not sufficient to just elect to store one’s cord blood, it is equally important to reassure oneself that the cells are and will perform accordingly at the time of need. CFU Assay confirms the potency (function) and proliferative capacity (multiplication) of the stem cells and brings in a sense of security at the very incipient stage i.e. at the time of storage. An important test conducted on the stem cells and the patient to identify if the stem cells match with the patient’s HLA type or not.This entire process of HLA typing and matching is time-consuming and the patient is already critical waiting for treatment. Therefore, in order to avoid all the above complications, it is recommended to perform HLA typing on stem cells right at the time of storage. Why? Because it not only saves crucial time for the patient in need but also prevents wastage of precious stem cells required to identify and match the unit with various recipients till it matches. With growing health care facility in India, it is very well expected that life expectancy of an individual will increase in coming years and can go up to Seventy-Five (75) years. That is why we offer you an extended storage of Umbilical Cord Blood Stem Cells for an additional period of Fifty-Four (54) years. The Additional Storage Period will start only after the completion of the primary Agreement i.e. on the Twenty-First (21st) birthday of the Baby. The offer cannot be clubbed with any other discounts. The offer is applicable on the COMBO as a whole. However, if the Client wishes to opt for selective services, then they can can do so against the price applicable. Offer applicable on all plans.